Along with fantasy, horrors and Westerns, science fiction is one of the highly metaphorical categories of story. Science Fiction is about human evolution on the grandest scale, literally the universal epic. Science fiction stories often use the myth form, not only because myth is about the journey but also because myth is the story form that explores the most fundamental human distinctions. What Is Meant By Mythic Structure? Science fiction is the biggest of all genres, as huge as the universe and beyond. That’s why it’s so notoriously difficult to write well. It has a broad, loose structure that covers vast scales of space and time. Science fiction is the most creative genre, because you can take nothing for granted. The writer must literally create everything, including the space-time rules by which human life itself operates. Howard Suber points out that science fiction is the modern ‘prophecy’ story, which has been popular forever. 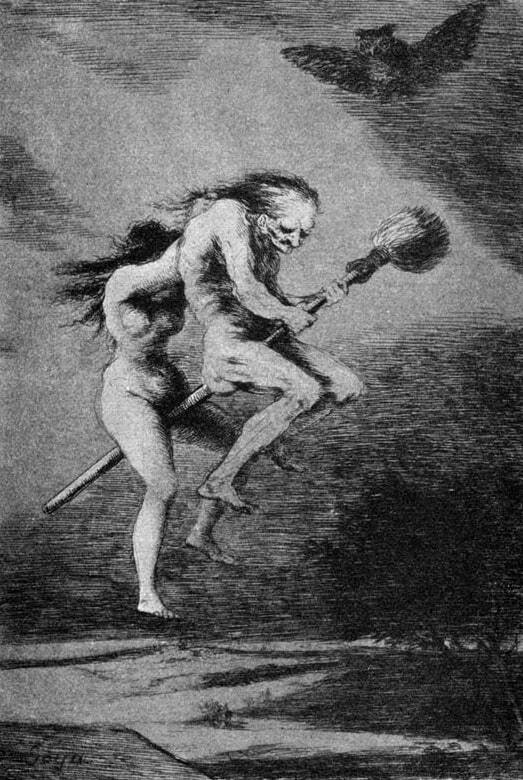 As is true for any prophecy, one must understand not only the specifics of what is predicted but also the yearnings and fears they express. Ray Bradbury broadly defines science fiction as ‘the fiction of ideas’. He also thinks science fiction as a genre is not taken seriously enough. Science fiction is the fiction of ideas. […] Science fiction is any idea that occurs in the head and doesn’t exist yet, but soon will, and will change everything for everybody, and nothing will ever be the same again. As soon as you have an idea that changes some small part of the world you are writing science fiction. It is always the art of the possible, never the impossible. […] The mainstream hasn’t been paying attention to all the changes in our culture during the last fifty years. The major ideas of our time—developments in medicine, the importance of space exploration to advance our species—have been neglected. The critics are generally wrong, or they’re fifteen, twenty years late. It’s a great shame. They miss out on a lot. Why the fiction of ideas should be so neglected is beyond me. I can’t explain it, except in terms of intellectual snobbery. […] I often use the metaphor of Perseus and the head of Medusa when I speak of science fiction. Instead of looking into the face of truth, you look over your shoulder into the bronze surface of a reflecting shield. Then you reach back with your sword and cut off the head of Medusa. Science fiction pretends to look into the future but it’s really looking at a reflection of what is already in front of us. So you have a ricochet vision, a ricochet that enables you to have fun with it, instead of being self-conscious and superintellectual. A typical science fiction film has a form as predictable as a Western, and is made up of elements which are as classic as the saloon brawl, the blonde schoolteacher from the East, and the gun duel on the deserted main street. Science fiction is defined more by setting details than by other story elements. Sci Fi is often set on other planets, in outer space, or on a future version of Earth. But these settings are not limited to sci-fi. In war films, also, the setting takes place on ‘a front’ — in sci fi and Westerns it takes place on ‘a frontier’. Dramatically, these are equivalent places. At the front/frontier, the organised forces of society are weak, get in the way, or trap the hero. Technology is a major component of the setting. Sci Fi requires an extrapolated or theoretical future science in order to fit the genre. As long as there is science, technology and a future/alternative history, the conventions of almost any other genre may be blended, including comedy, action-adventure and mystery. 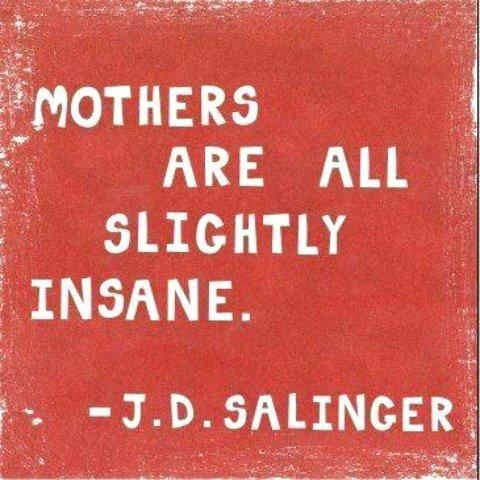 Many disagree with this distinction. That was written in the 1960s and speculative fiction has come a long way since then. Obviously this explanation has implications for the gender divide described above. Howl’s Moving Castle: Team book or team film? Here is an excellent breakdown of main differences between the YA novel and Hayao Miyazaki’s film adaptation, from a feminist point of view. Though both Miyazaki and Wynne Jones are known to be feminist storytellers, the feminism of the elderly Japanese man is quite different from that of the Welsh woman. 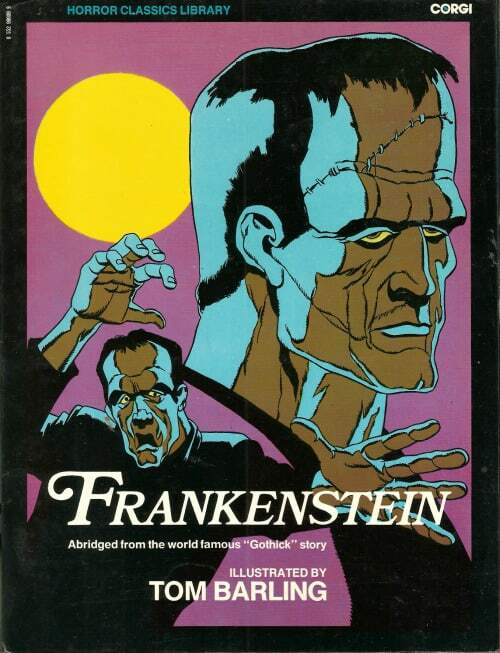 One thing the film did do though, was to broaden the audience for this otherwise obscure YA fantasy novel from 1986. Peter Pan, which few children find readable today, was the first novel in which ordinary children enter a magic world and have an adventure there – something that readers of Alice in Wonderland, The Chronicles of Narnia, Harry Potter and His Dark Materials will recognise. Robert Louis Stevenson’s Treasure Island has also fallen out of favour with present-day readers, but any number of adventure stories, from Rudyard Kipling’s The Jungle Book to The Action Hero’s Handbook derive from it. Stevenson’s young hero, Jim Hawkins, foreshadows the plucky resourcefulness of Anthony Horowitz’s reluctant teenage spy, and Eoin Colfer’s criminal mastermind Artemis Fowl. David Walliams is the new Roald Dahl, and has been paired with Roald Dahl’s illustrator Quentin Blake, so the publishers are obviously pushing that comparison, too. J.K. Rowling of course, who is popular all around the world, and has perplexed kidlit academics as to how on earth the Harry Potter series has been sooo successful given the many similar works which, by any yardstick, are just as good. The 1740s are commonly regarded as the decade in which both the English novel and the English children’s book got under way. This is connected to new ways of thinking. There was a rise and growing refinement of the middle classes in the 18th century. A growing number of people had the time, the money and the education to read books. Middle class readers were more domestic — they had their own homes — no more great houses or street bustle. Children stopped being dressed as little adults and a specific idea of childhood emerged. Children started to call their parents ‘mamma’ and ‘pappa’. Publishing houses also started up around this time. Generally until the mid 18th century, people who sold books also made them themselves. John Newbery (1713-67) was an influential person in the children’s publishing trade. He was wealthy, but not for his interest in printing books for children — he had another job selling pharmaceutical products, and bought the rights to sell Dr James’s Fever Powder, which took off. He married the widow of the previous owner of a printing house, which is how he started in the printing business. He published 30 titles for children. It’s thought he wrote a number of those himself, but no one knows exactly which ones; he employed cheap hacks to write many of them. 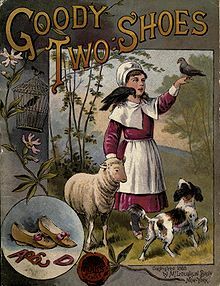 Of the titles published by Newbery, the most influential was ‘Goody Two Shoes’. The hero is Marjery Two-Shoes. May have been written by Newbery himself, or perhaps one of the others who worked with him. Though Newbery was English, and his books have fallen out of common use, his name lives on in the prestigious prize for American literature; Newbery was as influential to American children’s literature as he was to English. In the 1840s less didactic books started to be written, though didacticism was by no means dead. e.g. Captain Marryat’s adventure stories, pointing the way to Ballantyne, Kingston, Robert Louis Stevenson and Henty. By the end of the 18th C, the writing of children’s books was considered to be a job suitable for gentlewomen: Anna Letitia Barbauld, Lady Fenn, Priscilla Wakefield, Dorothy and Mary Jane Kilner, Mary Elliott. These ladies mixed didacticism with a little fun. There were also some fierce old Puritans: Mrs Trimmer, Mrs Sherwood. Then there were the English followers of Rousseau: Maria Edgeworth, Mary Wollstonecraft (mother of Mary Shelley, incidentally). Rousseau was all for naturalness and simplicity (the language of the heart, the idea of the Noble Savage.) The fact that Rousseau didn’t like books has been forgotten — he had an unintended influence on kidlit regardless. The educational purposes of literature have always been an issue, with official reports and curriculum documents from the 1920s emphasising the importance of the role of literature. 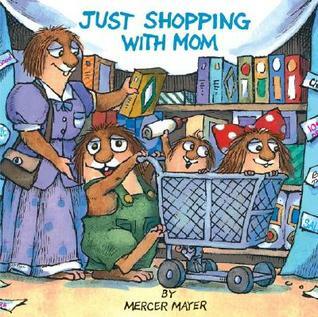 By implication, children’s literature is influenced by the educational market. The English National Curriculum has spawned a market for certain classroom aligned topics. 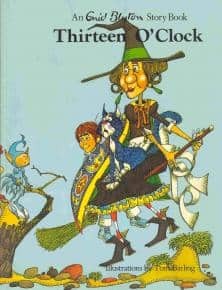 In Britain as in America, attention has been given to ‘diversity’ in children’s literature since the 1970s, when it was noticed that a fantasy world populated by middle class white boys isn’t really all that great. However, that hasn’t had much effect. Books which were criticised in the 70s are still being used widely in schools. White middle class male characters still dominate. Homer, Dickens and Defoe wrote for adults, but their stories are often offered to children in simplified form. In older works, the notion of the ‘gentleman’ is very important. In the 1890s, British kidlit was utopian. By the 1990s it was all about children’s needing to/struggling to grow up. 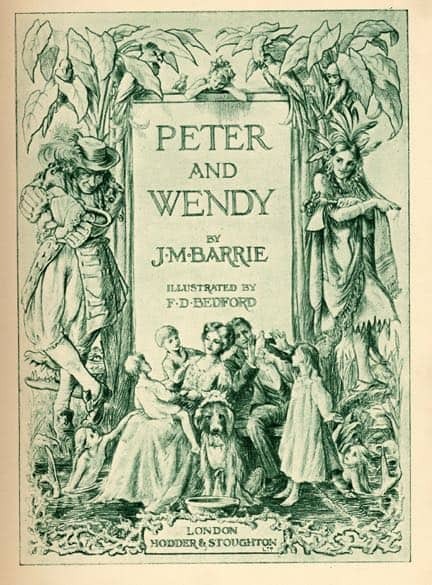 The First Golden Age, which took off in the 1850s, thanks to the increasing number and status of children, was particularly dominated by five authors: JM Barrie, Robert Louis Stevenson, E Nesbit, Frances Hodgson Burnett and Anna Sewell. These authors have been hugely influential on subsequent authors. The First Golden Age of children’s literature ended with WW1, meaning this was the end of the dominance of Arcadian-type books. However, the era of utopian domestic fiction or animal stories definitely didn’t end then. Swallows and Amazons by Arthur Ransome (starting in the early 1930s) marked the beginning of a story now seen as far from ‘realistic’, but Ransome did write seriously and without condescension, similar to the ‘realistic’ writers of today. There are 12 in the series published over 18 years, but the time span they cover is only 5 years. In these books there’s a clear preference for country over town, for wind-power over mechanization. The parents are understanding figures in the background and the children are always right-minded. In the books, they are always on holiday. Ballet Shoes (1935) by Noel Streatfeild was the beginning of a new genre: The career novel. 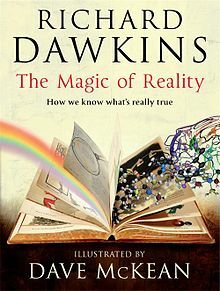 This book and all that followed by the same author were all based on detailed research. In Britain, the 1950s were a hopeful decade. Publishing houses at last appointed children’s editors with standing and ambition. Puffin Books had been established by Penguin during the war with Eleanor Graham as editor. This company became the world’s first major children’s paperback imprint. A new wave of writers included: Rosemary Sutcliff, Philippa Pearce, William Maybe and artists such as Brian Wildsmith and Charles Keeping. By the 1960s many talented writers had been attracted to the children’s book world. Educators started to take notice of kidlit. The term ‘reluctant reader’ first started being used. A big complaint of books of this era was that they were too middle class. They reinforced the existing social structure. The recession of the 1970s hit Britain as much as it hit America. A declining library market meant that publishers became more dependent on sales in the bookstores (and supermarkets) with the result that they were on the whole selling to less informed purchasers than the librarians. There was more demand for shelf appeal and less for literary quality. Even libraries started to look for popularity rather than literary merit. While American kidlit tries to be conservative, British kidlit encourages children to grow up. By the mid 1990s, experienced editor David Fickling said, ‘Nothing can save the hardback at its present price‘. Gone were the days of ‘librarian books’, which only librarians knew about and would recommend to their more discerning child readers alongside the top sellers. In both America and Britain there has been a swing from library to bookshop sales. Books are published by corporations which operate on both sides of the Atlantic. Fiction for older children suffers most because while adults are happy to guess at what a toddler wants to read, they’re less likely to guess what an older child is interested in, and don’t gift books so readily. While there were plenty of new writers in Britain in the 1950s-1970s, there has been a dearth of them since then. Too high a proportion of the worthwhile children’s books of the 1980s came from writers whose reputations were already made. Realism started mainly in America, but has made its way to Britain. It used to be easy for Britain to sell its writers in America, but now it’s more the other way around — British teens are reading American fiction but not so much the other way around. One or two generations ago, most British children would hardly have been aware of quality American literature. Children’s literature is getting less and less attention in major newspapers and magazines, and the status of children’s authors is low. Picturebooks started to bloom in the 1960s. (In America they had started to bloom after the second world war.) Leading names of the 1960s: Charles Keepings, Brian Wildsmith. 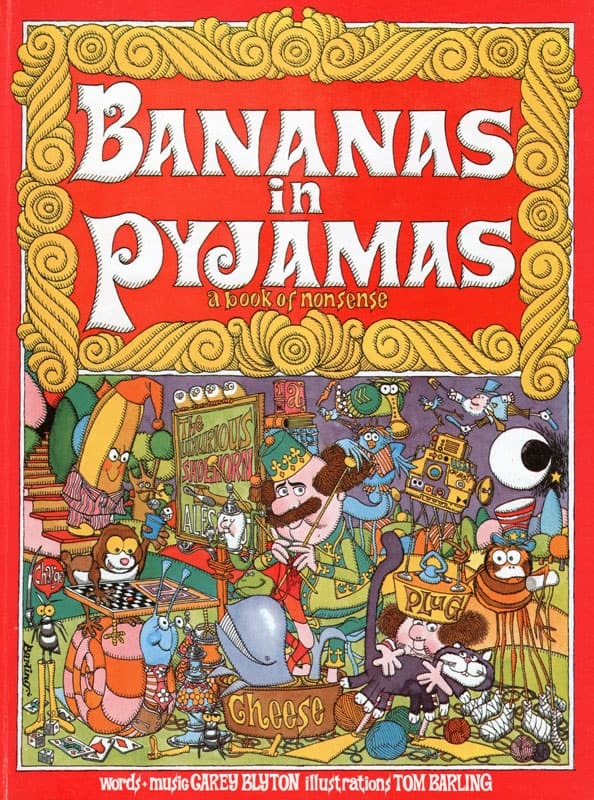 John Birmingham and Quentin Blake also started illustrating for children in the late 1960s. 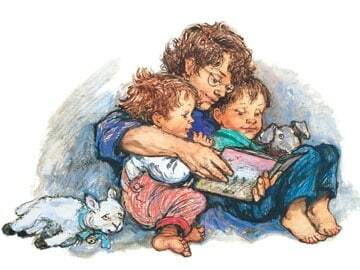 Today, children’s books, new and old, are actually what is keeping publishers in business. Food fantasies are important in kidlit because children, ideologically, are supposed to be very interested in food. But in British children’s literature food has been particularly copious and rich and sweet. Fat-laden foods are frequently served to children who seem to have huge appetites. Food in seemingly never-ending quantities is a regular feature in classic British stories for children, but can also be seen echoed in many early Australian stories such as The Magic Pudding. Traditionally, British kidlit is good at fantasy whereas American kidlit is great on realism, but of course now you find great realistic stories coming out of Britain and great fantasy coming out of America, not to mention the rest of the world. Here is a ridiculously inflammatory clickbait article which nevertheless detaials interesting points about how American literature and British literature for children differ — writte I think by a fan of fantasy rather than by a fan of realism. Although Britain is part of the European Union, when it comes to children’s literature, it makes more sense to regard Britain as standing apart from Europe. When you talk about your writing with Europeans, they’re more interested in what you’re saying with your fiction–your themes and influences. Americans tend to be interested in how much it pays, and when the movie’s coming out. Could this mean that Europeans have more interest in themes and messages in kidlit, also? In European countries that remained as dictatorships after WW2 (like Spain), the production of children’s books remained very much under state control and didn’t flourish. With the exception of Britain, translated books are seen to have an important educational and hence ideological function, fostering mutual understanding and European unity. Britain, like America is not translating enough European children’s literature. Walking around at Bologna [International Children’s Book Fair], there is so much good work from so many countries (as well as a lot that is, well, market driven, to be polite), whether in text or illustration, that you wonder why more of it isn’t represented in Britain. Take the Andersen and Astrid Lindgren award winners for instance. [Argentinian writer] Andruetto isn’t published at all in English and only two of [Danish writer] Guus Kuijer’s over fifty titles have ever been translated. And this isn’t just about translation, because there’s a lot from other countries that publish in English that doesn’t reach us. … To be at Bologna, then, is to be astonished both by what is published for children internationally, how little of this we see in Britain, and yet how large a presence British children’s books have worldwide. If anyone would like to see this changed, do support small publishers such as New Zealand based Gecko Press who translate some of the best work from (mainly) Europe for English speaking children to enjoy.